GALENA - a powerful, engineer-friendly slope stability analysis system with features to allow simple or complex slopes to be analysed quickly and easily. GALENA is designed to assist you, the user, in assessing the stability of slopes and structures, easily and quickly. GALENA is engineer-friendly software, designed to be fast, easy-to-use, and to save you time. GALENA data structures are logical - definition is available at the press of a button. GALENA offers clear graphical images for a clear understanding of the situation being modelled. GALENA is menu-driven with toolbar buttons and on-line Help for all definition options, a simple tutorial, and verification and example models to assist users. GALENA's model and analysis structure is designed for 'what if' scenarios with single option amendments possible for additional analyses. GALENA's unique features are designed to provide users with the tools needed to take much of the guesswork out of the natural variability of geological materials. 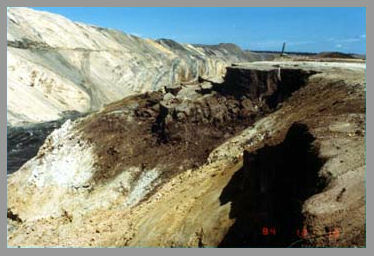 GALENA is the program of choice of the US Government's Office of Surface Mining. GALENA was the program of choice for the NASA team examining material properties on the surface of Mars.